(anon). The Family of Woman. A World-Wide Photographic Perception of Female Life and Being. Photo available. New York. Ridge Press Books. 1979. 192 pps. 4to. Hardcover. First edition. Illustrated with photographs from the world's greatest photographers. Fine copy in fine dust jacket (in mylar). (anon). The Fortuna of Michelangelo. Sacramento. Crocker Art Museum. 1975. 46 pps. 4to. Soft cover. First edition. Illustrated. Near fine copy (very light shelf wear). (anon). The Glory of Baroque Dresden. 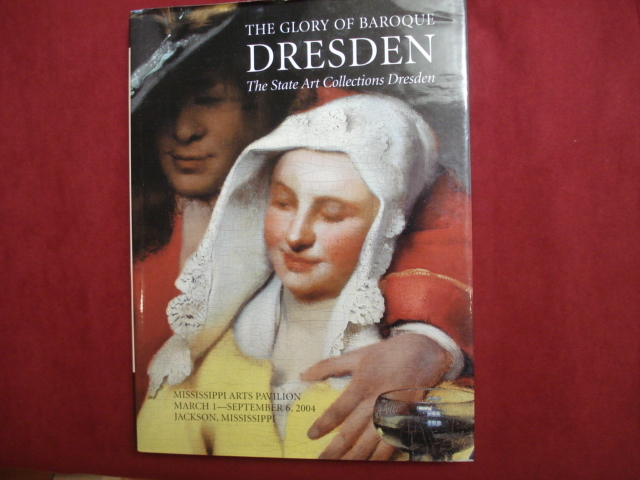 The State Arts Collections Dresden. Photo available. Jackson. Mississippi Arts Pavilion. 2004. 4to. Hard cover. First edition. Illustrated in black, white and color. Fine copy in fine dust jacket (in mylar). (anon). The Great Afghan Book. New York. American School of Needlework. 1980. 160 pps. 4to. Hardcover. First edition. Illustrated in color and black & white. Fine copy in near fine (light shelf wear) dust jacket (in mylar). (anon). 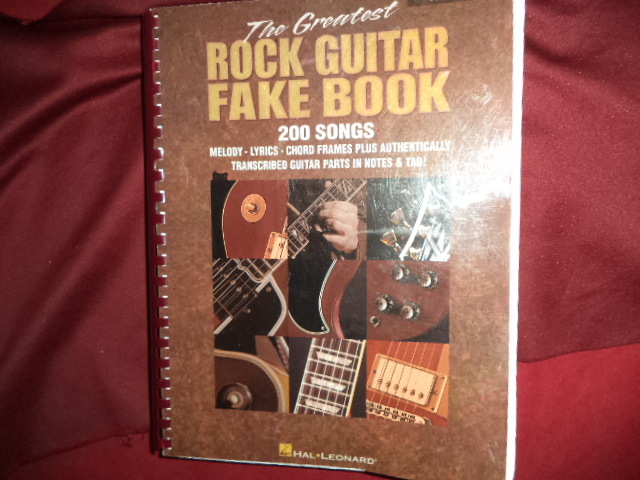 The Greatest Rock Guitar Fake Book. 200 Songs. Melody, Lyrics, Chord Frames. Guitar. Photo available. Milwaukee. Hal-Leonard. nd. 496 pps. 4to. Spiral bound. First edition. Fine copy. (anon). The Greatest Rock Guitar Fake Book. 200 Songs. Melody, Lyris, Chord Frames Plus Authentically Transcribed Guitar Parts in Notes & Tab. Photo available. Milwaukee. Hal-Leonard. nd. 496 pps. 4to. Soft cover. Comb binding. First edition. Important reference work. Fine copy. (anon). 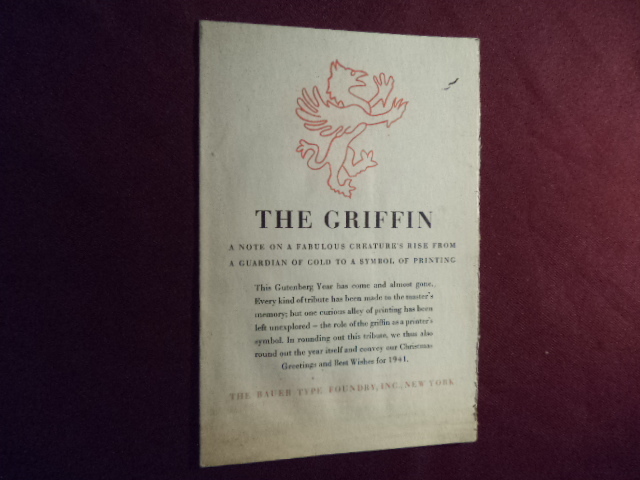 The Griffin. A Note On a Fabulous Creature's Rise from A Guardian of Gold to a Symbol of Printing. Photo available. New York. The Bauer Type Foundry, Inc. nd. 8 pps. Octavo. Soft cover. First edition. Illustrated. Important reference work. Fine copy (very light discoloration). (anon). The House & Home Book of Interior Design. New York. McGraw-Hill. 1979. 4to. Hard cover. First edition. Illustrated. Fine copy in fine dust jacket (in mylar). (anon). The Impressionists Handbook. The Great Works and the World that Inspired Them. New York. Barnes & Noble. 2000. 256 pps. Octavo. Hardcover. Reprint. Illustrated in color and black & white. Fine copy in near fine dust jacket (in mylar). (anon). 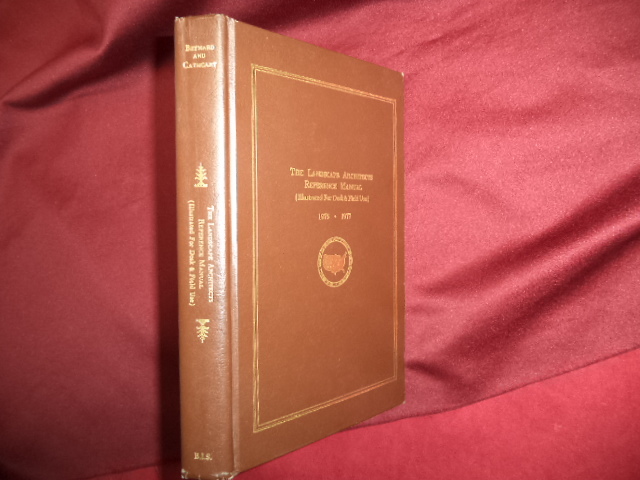 The J. Paul Getty Museum Handbook of Collections. Malibu. J. Paul Getty. 1986. 216 pps. Octavo. Soft cover. First edition. Illustrated in color and black & white. Fine copy. (anon). The Joy of Jazz. Sheet Music. New York. Yorktown. 1964. 4to. Soft cover. First edition. Illustrated. Fine copy. (anon). The Landscape Architects Reference Manual (Illustrated for Desk & Field Use). Photo available. Orange. Basic Information Services. 1976. 390 pps. Octavo. Gilt decorated hard cover. First edition. Illustrated in black, white and color. Important reference work. Fine copy. (anon). The Lehman Collection. New York. Cincinnati. Cincinnati Art Museum. May, 1959. 341 pps. Octavo. Hardcover. First edition. Illustrated in color and black & white. Fine copy in near fine (edge wear) dust jacket (in mylar). (anon). 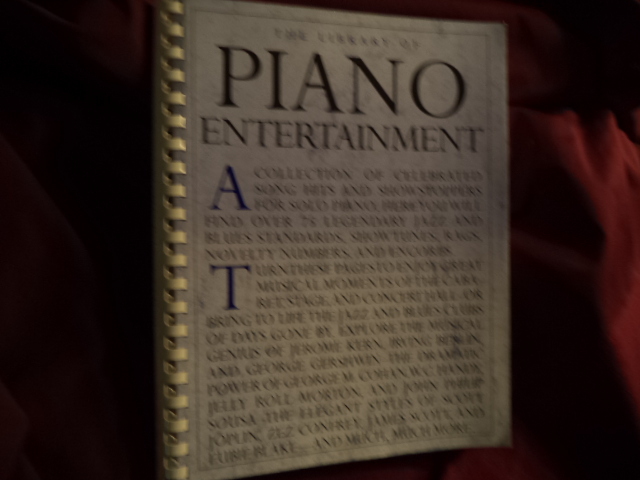 The Library of Piano Entertainment. Photo available. New York. Amsco. 2005. 240 pps. 4to. Spiral bound. First edition. Fine copy. (anon). 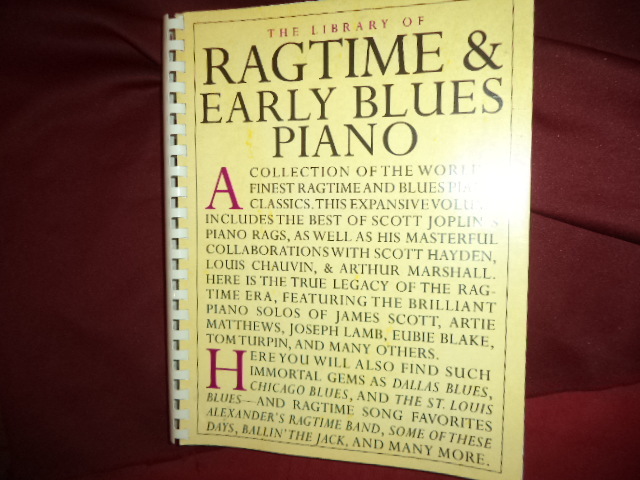 The Library of Ragtime & Early Blues Piano. Photo available. New York. Amsco Pub. 1995. 319 pps. 4to. Comb binding. First edition. Important reference work. Fine copy (small date written on title page). (anon). The Lively Arts of the Renaissance. Houston. Museum of Fine Arts. nd. Octavo. Soft cover. First edition. Illustrated. Fine copy. (anon). The Liverpool Libraries, Museums & Arts Committee Bulletin. Vol. 12. Liverpool. Walker Art Gallery. 1967. Octavo. Soft cover. First edition. Illustrated. Fine copy. (anon). 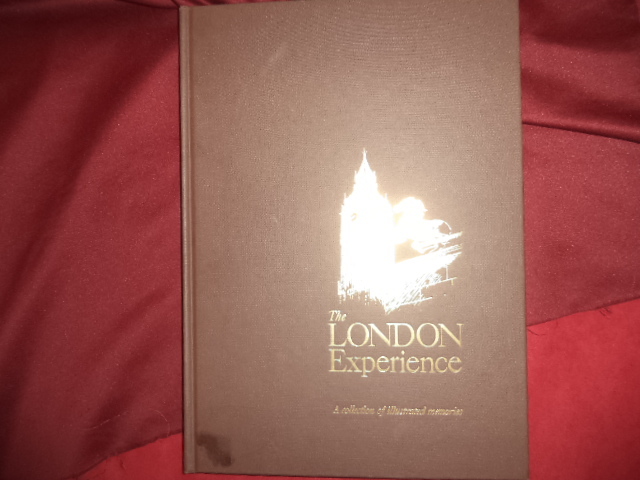 The London Experience. Selected Drawings, Painting, Poems and Short Stories by California Poly University Students. Photo available. San Luis Obispo. Cal Poly. 1987. 128 pps. Folio. Gilt decorated hard cover. First edition. Illustrated in black, white and color. Important reference work. Fine copy. (anon). 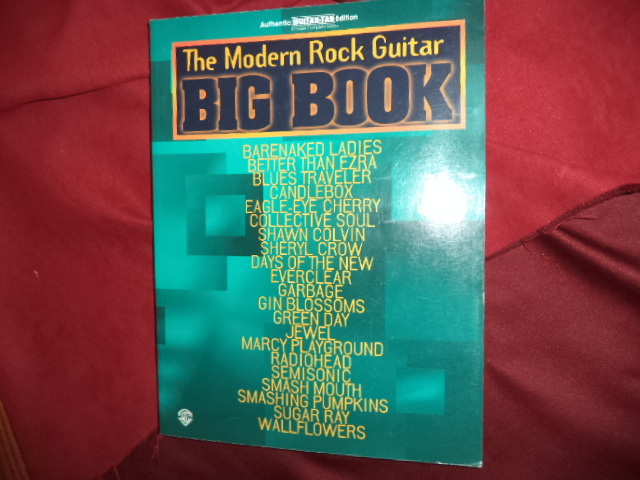 The Modern Rock Guitar Big Book. Authentic Guitar-Tab Edition. Photo available. Van Nuys. Alfred. 1999. 275 pps. 4to. Soft cover. First edition. Fine copy. (anon). 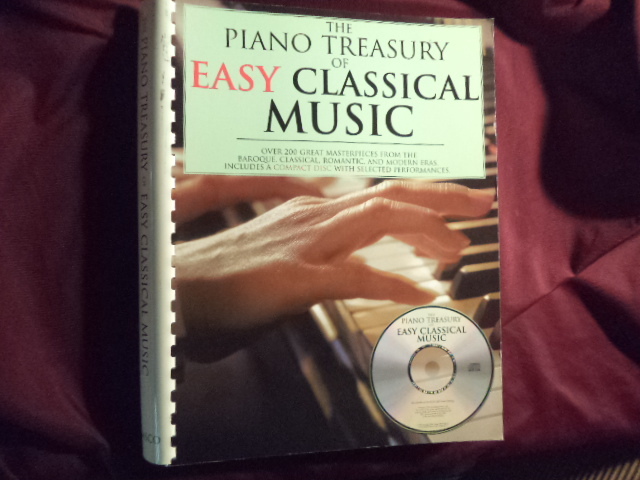 The Piano Treasury of Easy Classical Music. With CD. Over 200 Great Masterpieces from the Baroque, Classical, Romantic, and Modern Eras. Includes a Compact Disc with Selected Performances. Photo available. New York. Amsco. 2006. 4to. Comb binding. First edition. With unopened CD. Fine copy. (anon). The Restoration of Colonial Williamsburg in Virginia. New York. F.W. Dodge. 1935. 4to. Hardcover. First edition thus. Illustrated. Very good copy. Spine lightly sunned, stain on back cover. (anon). The Simplified Fake Book. Melody, Lyrics and Simplified Chords. In the Key of C. Milwaukee. Hal Leonard. 206 pps. 4to. Soft cover. First edition. Fine copy. (anon). 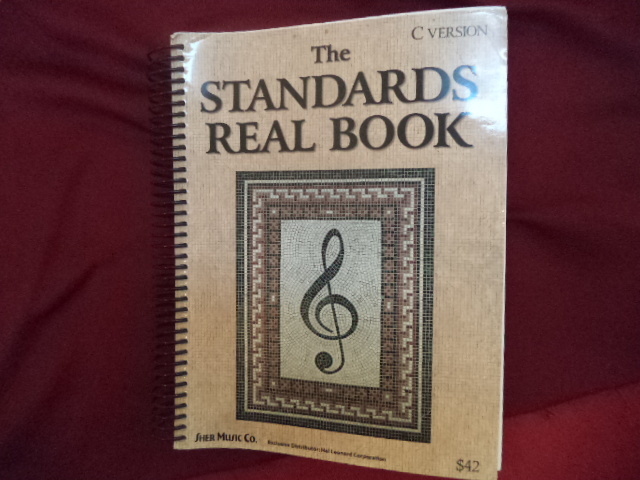 The Standards Real Book. C Version. A Collection of Some of the Greatest Songs of the 20th Century. Photo available. Petaluma. Sher Music Co. 2000. 580 pps. 4to. Comb binding. First edition. Important reference work. Fine copy. (anon). The Star Trek Scriptbooks. Book One: The Q Chronicles. Photo available. New York. Pocket. Books. 1999. 840 pps. 4to. Soft cover. First edition. Full number line. Illustrated in black, white and color. Important reference work. Fine copy.